Congratulations to Chief Foster and the FF s of the East Camden Fire Department on the purchase of this nice telesqurt. We love it when we can bring a good quality used truck in to serve here in Vermont! Congratulations, Saxton s River! 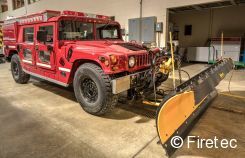 Franklin Park VFC tried the PA Fireman to advertise their truck but only had tire kickers call... they listed it with Firetec and now it is SOLD! 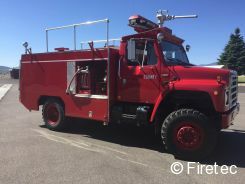 1993 Fire Engine built by Luverne: SOLD in less than three weeks! Used Fire Trucks are selling like hotcakes this December.... what do you have to list? Sheridan purchased a new 3000 gallon tanker which freed up this 2500 gallon Ford to make a new home in Illinois. Thank you to everyone involved! This 1986 Ford L-9000 fire truck has a new home in Oklahoma. Thanks to Buckland VFD for selling their used fire truck through Firetec! Chevy 4x4 being repurposed in private industry. This 2002 International/ Pierce pumper sold in 45 days. Have one like it? We have buyers! This 4x4 International brush truck found a new home on a farm in Maryland. This used walk in rescue has winch, generator, Whelen warning lights. Seats 4 in box. Congratulations to Appleton Fire & Rescue on the purchase of this 1997 Freightliner/ SVI Rescue!